Seijin Shiki participants with Revs. Nobuo Miyaji (left) and John Iwohara. 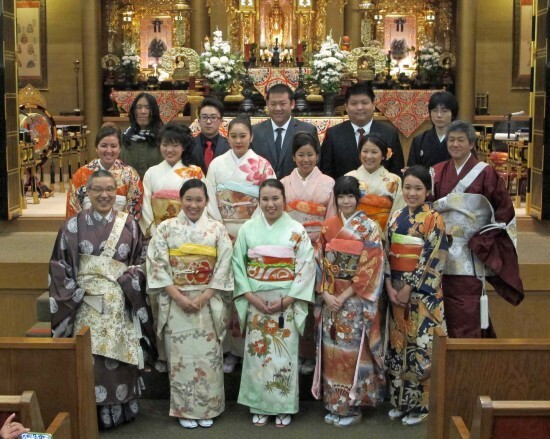 GARDENA — The Gardena Buddhist Church recently held its Seijin Shiki (Coming of Age Ceremony), an annual observance in Japan that is typically held in January. Participants in this year’s ceremony were: Jean and Sean Iwohara, Lauren Nation, Justen Minamitani, Nicole Hamasaki, Hana Lambur, Toji Kuwahara, Amie and Natsumi Hazama, Lauren Kawahara, Kayle Igawa, Kevin Maruyama, Sarah Takemoto, and Tommy Mayemura. With head minister Rev. Nobuo Miyaji and assisted by associate minister Rev. John Iwohara officiating, certificates and commemorative gifts from the church were presented to the participants during the ceremony. Congratulatory messages were delivered by Rev. Miyaji and Church Board President Nadine Kakimoto. The Seijin Shiki pledge was read on behalf of the recipients by Lauren Nation. Following the ceremony, the recipients were presented with a brief Ryurei Table style tea ceremony from the Omotesenke School. 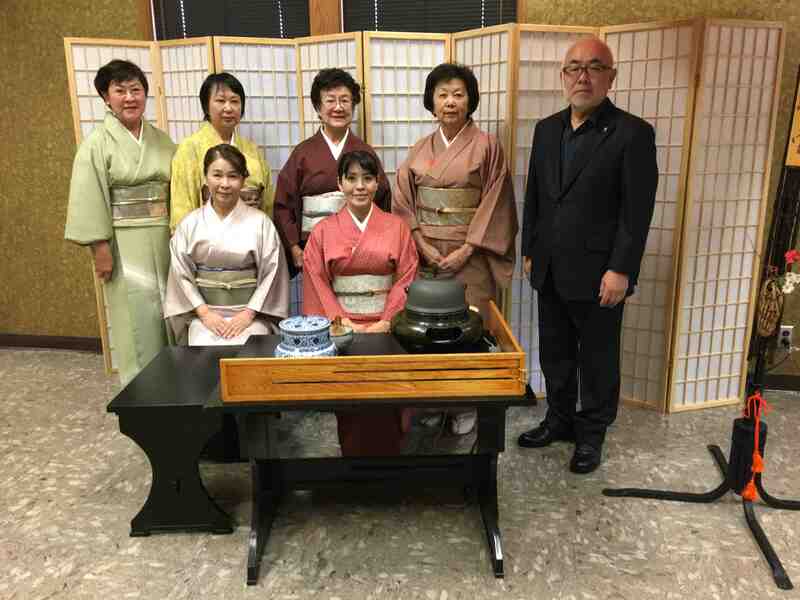 Participating were members of the Keiwakai Group: Kay Sokei Inose, Lily Soka Nakatani, Chigusa Soshu Shibasaki, Kinuko Soi Kogure, Rose Sosei Yoshiyama, Tomoko Kawai and Tateshi Yamashiro. Members of Keiwakai Group presented a tea ceremony.